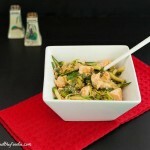 A grain free, paleo and low carb sesame chicken zucchini noodle salad. 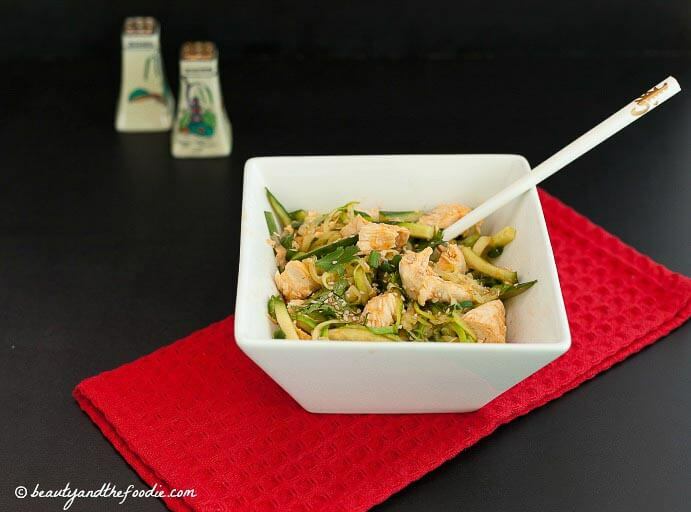 Asian Chicken Zoodle Salad is a grain free, gluten free, low carb version of one of my former favorite dishes that I used to order at a great little local Chinese restaurant. Since my food allergies no longer allow me to have that dish, I have been trying to make a similar tasting, grain free, low carb version. This one is very close to the real deal. My family loved it. 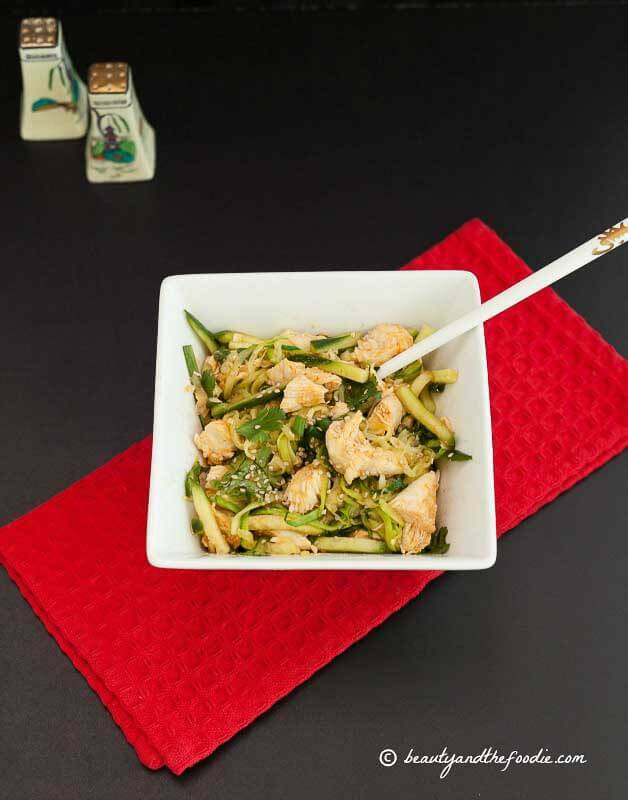 Flavorful Asian inspired sesame chicken with a little kick of spice, and served with zucchini noodles, julienned cucumber, and shredded cabbage. Delicious and refreshing served room temperature or cold. preheat oven to 400 F, and lightly oil a 8×8 pan. Place zucchini noodles in pan. Bake for 10 minutes. Remove from oven , cool and drain of excess water in a colander. In a large mixing bowl combine: zucchini noodles, cooked chicken, cabbage, cucumbers, cilantro,and green onions. In a medium size mixing bowl combine: vinegar, avocado oil or olive oil, sesame oil, sriracha sauce, and sea salt. whisk together thoroughly. Pour vinegar oil mixture over chicken veggie mixture. Toss to coat in the sauce. Sprinkle with sesame seeds. Serve room temperature or cold. An Asian Chicken Zoodle Salad. preheat oven to 400 F, and lightly oil a 8x8 pan. Place zucchini noodles in pan. Bake for 10 minutes. Remove from oven , cool and drain in a colander. Pour vinegar oil mixture over chicken veggie mixture. Toss to coat in the sauce. Sprinkle with sesame seeds. Serve. Nancy, that’s okay, it is an ingredient that you can adjust to taste, or even leave out if you don’t like cilantro.